← Win a Kindle Fire in the ‘ALL FALL DOWN’ Treasure Hunt – The final clue is here…. Detective Sergeant Mark ‘Heck’ Heckenberg is investigating the disappearance of 38 different women. Each one was happy and successful until they vanished without a trace. But when they hear rumours about the so-called ‘Nice Guys Club’ they hit a brick wall. They’re the gang that no one will talk about. Because the Nice Guys can arrange anything you want. 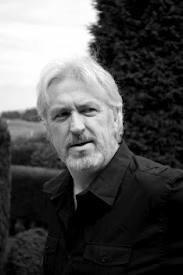 From the keyboard of former cop and journalist, Paul Finch, a writer who started out writing episodes of The Bill, comes Stalkers, and the terrifying premise it holds within its pages! In a time where the daily news events seem to worryingly wash over us, regardless of just how grim some true life horrors seem to be, Finch has still managed, in a similar vein to authors like Stuart MacBride, to come up with something that really is a tough at times but, nevertheless, very rewarding read. The opening sequences are the very thing of great horror movies, with bluff after double-bluff of the reader knowing something bad is about to happen to a character, but managing to keep those pages turning as with each stage of the journey we are given short and merciful release before its back into the darkness and the worrying and the tension being racked up more notches. 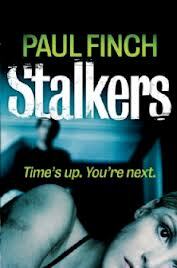 Stalkers is a novel that has come as a clear result of Finch’s background, interests and experience – the having been a cop, coupled with being a writer of horror fiction and movie scripts has certainly congealed in such a way as to create a great and sinister premise with a new DS on the block, in Mark ‘Heck’ Heckenberg, for crime lovers to follow. But there’s a skill in Stalkers too, and one I find sadly lacking in a lot of crime novels that might tread similar stories. Finch seems to know when best to take his foot off the accelerator when it comes to some scenes. I won’t spoil things here, but suffice to say that at a fairly early point in the novel at the close of a chapter I nearly put the book down and didn’t pick it up again as I felt I’d read beyond my comfort zone. But I continued to the next page, then flicked back, and it was only then that I realised that what the author had managed was to make me think that what I’d read was far worse, far more detailed than it was. In fact, he’d pretty much closed a door on a scene that was about to unfold, but had given enough information to leave me no doubt in my mind as to what was about to happen without actually writing it. In a way, I guess that again harks back to the best moments in horror movies, where the audience is convinced they saw more blood, more horror on the screen, whereas actually it was the skill of the director to put the germ of the ideas in the viewers heads – and that, as it was for me in Stalkers, is sometimes so much more powerful than pages and pages of gore. With the cases of nearly forty missing women on his mind, ‘Heck’ clearly has his work cut out from the get-go, but his uninvited side-kick in the form of feisty Lauren Wraxford proves a very useful and dedicated ally as he works with, and then behind the law, in his investigations. Finch has created a very likeable central character, but shows his skill as a storyteller through all the other players in the story as well – the fact that someone who signs up for what the ‘Nice Guys Club’ are offering and then constantly loses his lunch just thinking about what it has led to him becoming illustrates that the author is thinking around his characters and they are very much more rounded than just names on a page. Stalkers is a very dark premise and read but, as a result and of the fast paced narrative, it’ll have you by the throat until you get to the end. I can’t wait to see what’s in store for Heck when the second book in the series ‘Sacrifice’ is released. This sounds like a really great read Keith!